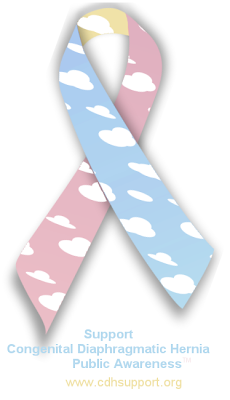 On April 1, 2008, Elizabeth Doyle-Propst, CEO of Breath of Hope, Inc, filed a trademark request with the United States Patent and Trademark Office to own the rights to the phrase “Congenital Diaphragmatic Hernia Awareness” and a logo of a turquoise ribbon. This request was initially denied. It was resubmitted without the logo and went onto the Supplemental registry on September 17, 2008. Preceding and following this registration, Breath of Hope, Inc. filed complaints and sent threatening correspondence to other CDH organizations and families who used the term “Congenital Diaphragmatic Hernia Awareness”. 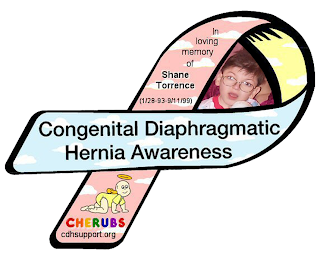 On December 4, 2008, CHERUBS filed a Petition to Cancel with the United States Patent and Trademark Office against the trademark “Congenital Diaphragmatic Hernia Awareness”. It is our goal, along with 7 other CDH organizations and over 4000 CDH families and medical care providers who signed an on-line petition, that this trademark be canceled so that all people affected by Congenital Diaphragmatic Hernia be able to raise awareness without the threat of lawsuits. Congenital Diaphragmatic Hernia is a severe, and often deadly, birth defect that affects over 1600 babies each year in the United States alone and it would be extremely detrimental for one person or organization to dictate who can raise awareness for this birth defect. Because threats and complaints have been filed in the past and recently by Breath of Hope, Inc against organizations and persons using the term “Congenital Diaphragmatic Hernia Awareness”, we felt that we had no choice but to stand up for CDH families and to fight for their rights to raise awareness. It is our sincere hope that the United States Patent and Trademark Office will see that it is in society’s best interest to cancel this trademark. We also hope that Breath of Hope, Inc and Elizabeth Doyle-Propst will refrain from any further attempts to harm members of the CDH community and will handle this matter in a mature, professional, non-vindictive and compassionate manner and put CDH families and their awareness rights first and foremost – as should be the behavior of any non-profit organization for families affected by Congenital Diaphragmatic Hernia.